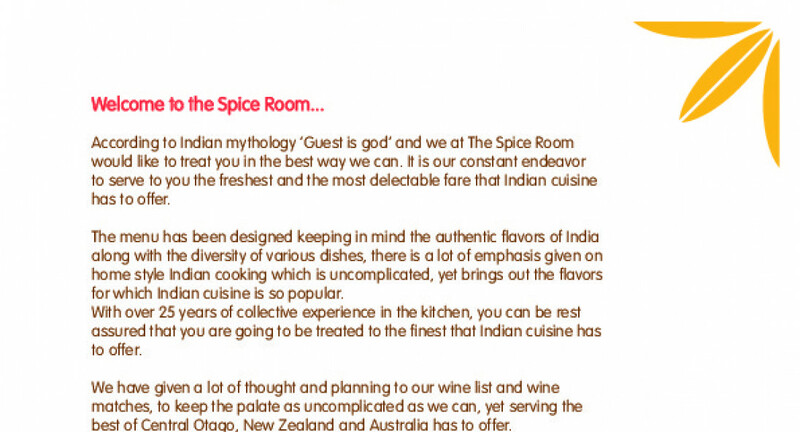 In Indian mythology, ‘guest is god’ and you’re sure to be treated like one at The Spice Room. 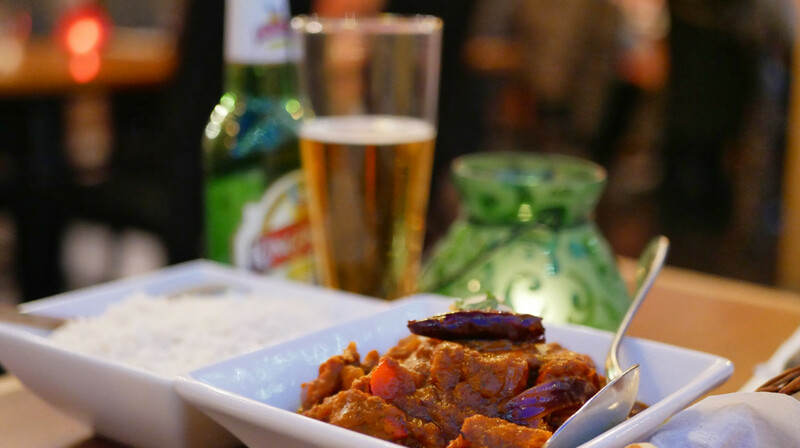 With warm and friendly service and a menu of fine Indian cuisine, The Spice Room offers an excellent dining experience. The culinary team has more than 25 years’ combined experience and it shows in the expertly made curries, breads and fluffy rice served here. 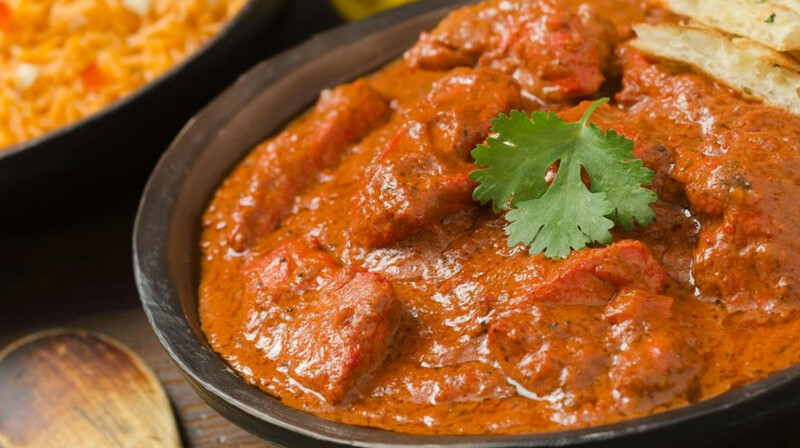 Enjoy favourites like saagwala with spinach and fenugreek, rich and creamy korma and the British obsession, tikka masala. 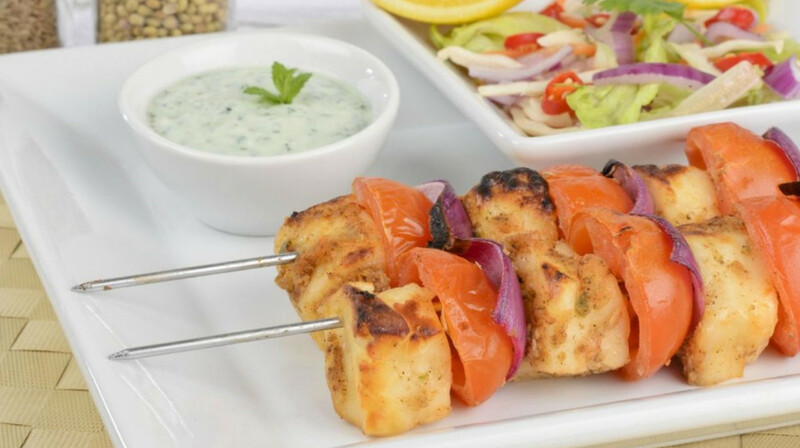 From the tandoor, there’s seekh kebab, marinated chicken and a mixed platter. The menu has been designed keeping in mind the authentic and diverse flavours of India with an emphasis on uncomplicated, home-style cooking. 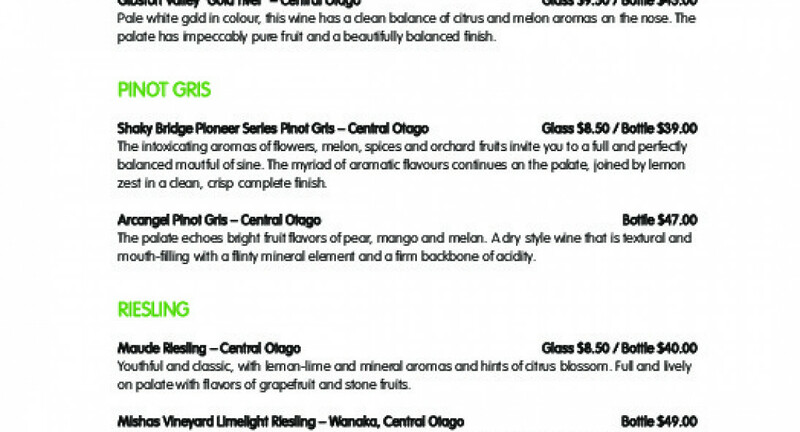 An excellent wine list has been assembled to complement the food, drawing from the best wine regions across New Zealand and Australia. Great service, wine list and excellent food. Thanks for an awesome dining experience. Good fresh tasty curries at a great price. Would return again. Very pleasent experience and decent pricing. Simple decor but staff and food were great. For those that like spice I would recommend going for hot. Spice calibration on the mild side so if you like spice I would go for hot next time. Great food and friendly service. Would highly recommend. Great food, nice service, really enjoyed the Spice room. The curries here were absolutely delicious. Not like your usual curry, the butter chicken had an extra punch to make it stand above the rest. The young man who served us was very polite and provided great service. Would not hesitate before dining here again. We'll definitely be back. The food was really good, best Indian we've had in Queenstown, especially for the price. Lamb Korma was delicious and Cheese Naan was superb. We were well impressed. The service and the food was good. The food here is incredible! So tasty and fresh! The samosas are out of this world, so many flavours. Great, friendly service. Really yummy Indian & great service. Low key restaurant so great to take kids along too. The waitress were absolutely wonderful. They accommodate to our needs. Excellent service. The food was delicious. Everything was great, loved the food and the boys looked after us very well, thx. Lovely meal, excellent service. They put some tables together for our group. Kids loved the butter chicken and tika masala. Would definitely eat there again!! 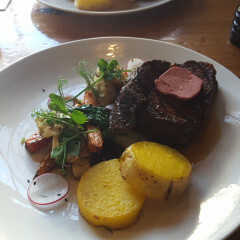 Delicious food! We ordered some samosas for entree, then some curries, rice and naan for main. Everything was delicious. Service was good throughout and had plenty of leftovers for lunch the next day. 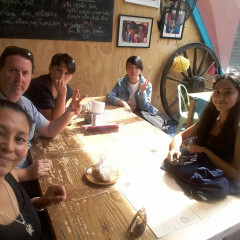 Great meal whole family enjoyed their meal and experience first table is brilliant. The most amazing service, chefs dishes were really sumptuous and macrobatic. Every one of us really enjoyed. Definitely we'll come again and recommend my friends and family to be here during their next visit. Service could not be faulted. I felt the meals were average compared to other Indian meals I have had. Flavours were good. Lacked some presentation. Seated by the window with a view of Queenstown streets was entertaining. We had been craving a good Curry for a couple of weeks. Spice room hit the spot. We ordered the a chicken Korma and butter chicken, with 2 cheese Nahn. OmG the cheese Nahn was amazing. We also ordered the popadums to start, the pickle and dips I think were from a jar, still taste. I would definitely go again. 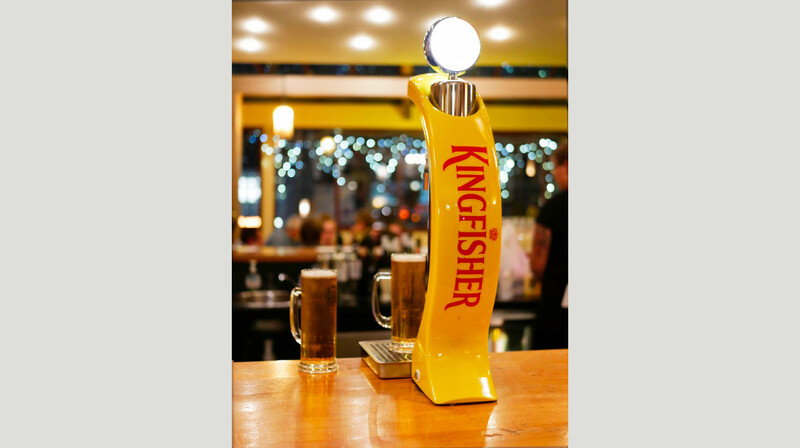 Super fast service, delicious mango lassi, kingfisher on tap! If you're not into spicy food opt for mild as medium melted my girlfriend's head but my medium hot vindaloo was delicious! Big portions so be prepared to live on Indian for at least a meal or two afterwards :-) Will be back! Can not fault the food & value for money. Loved the Pakora & Squid Salad as starters. All our main choices were great too. Only minor criticism is the table we were given stuck in the corner to the side of the bar when there was only one other family dining in the restaurant at the time. Good food, amazing amazing service. Had a wonderful meal for two at The Spice Room! They have a great banquet deal where for $40 you get poppadoms, an entre, a main course of 3 curries, garlic naan, and hot chocolate naan for dessert. It was FABULOUS. We ate ourselves silly and still had leftovers enough for lunch the next day! 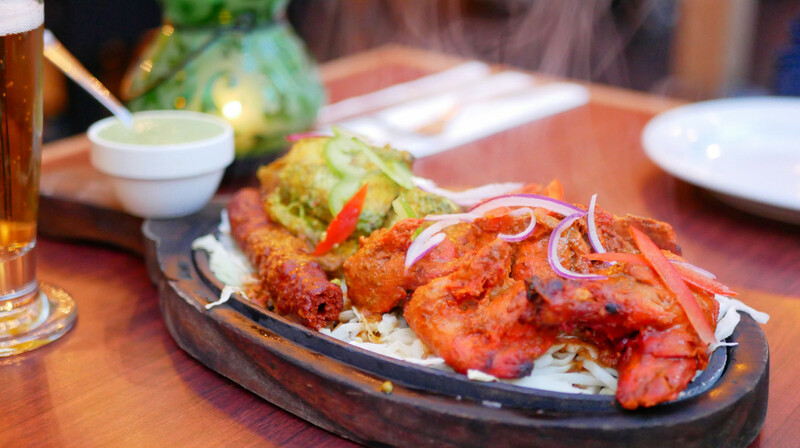 We highly recommend this delicious restaurant to get your Indian food fix! Good food. Service was great. An amazing time at Spice Room, the food were plenty and delicious! Really tasty food, lots of options! Particularly enjoyed the chicken madras. Good service and view from the window. Would definitely recommend! Sensationally yummy food and the waiters were very friendly. Would definitely return! Excellent dinner and service! Would definitely recommend.